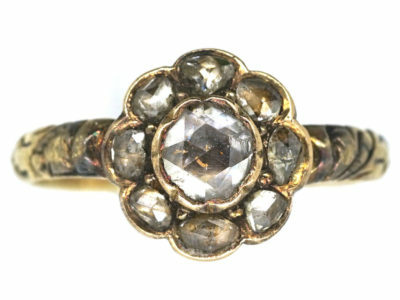 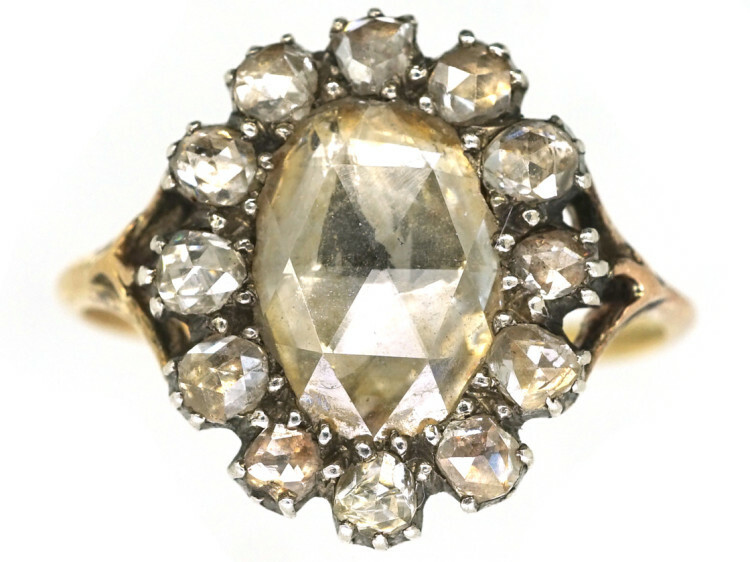 A stunning Georgian ring that was made circa 1800-1820. 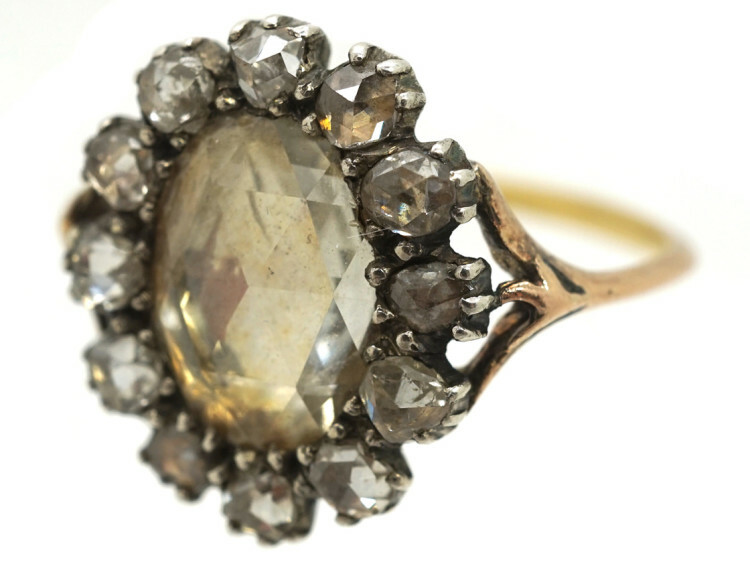 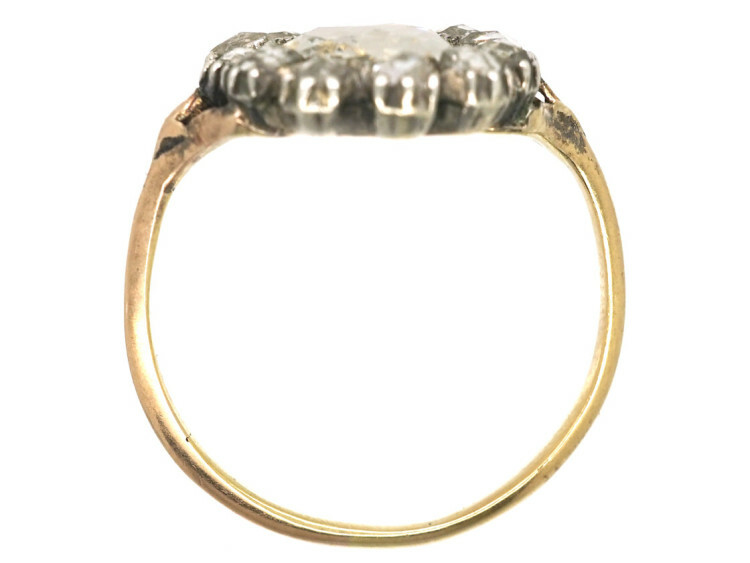 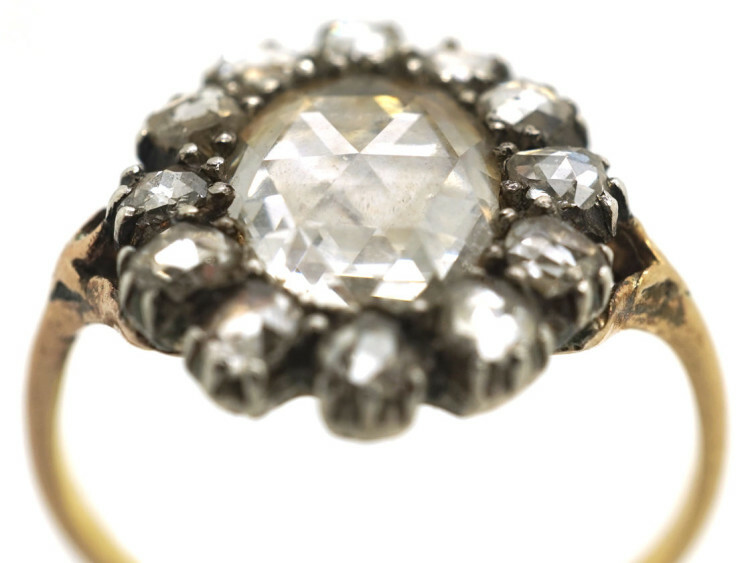 It is set with a large oval rose diamond. 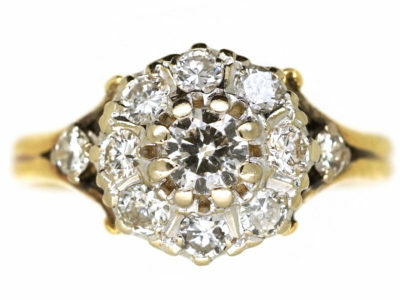 The diamond is foiled at the back which gives it luminosity. 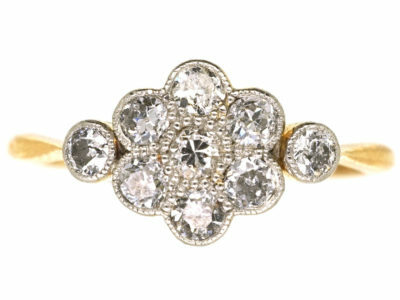 Around it are twelve rose diamonds. 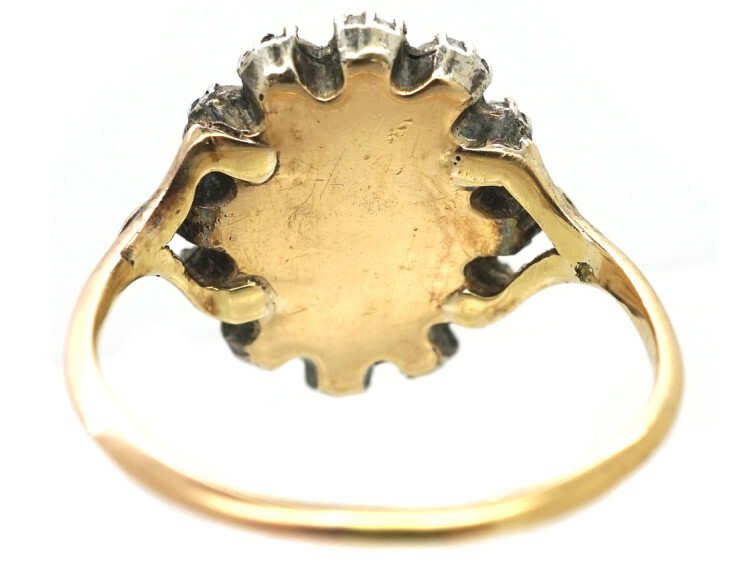 The shank has split shoulders with a small leaf on each side. 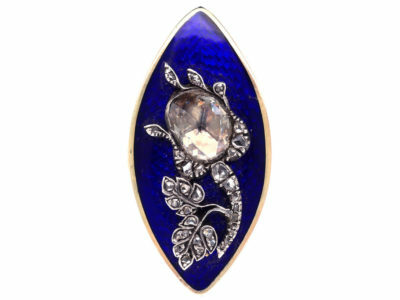 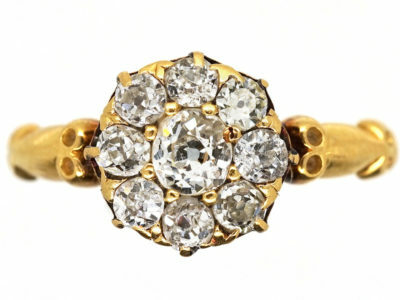 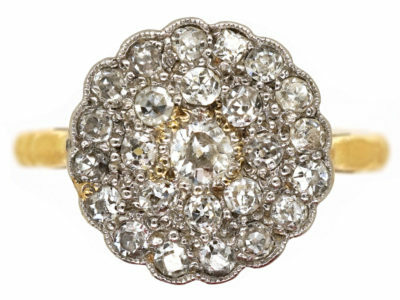 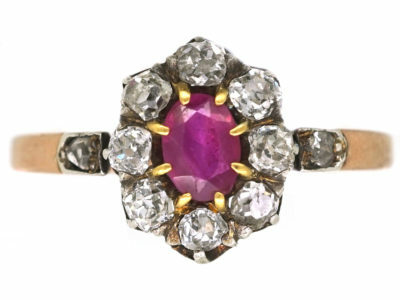 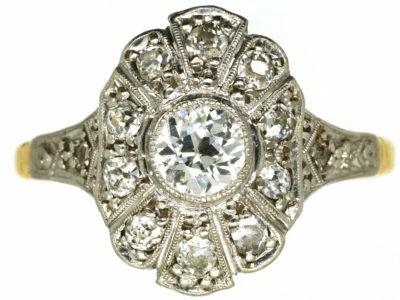 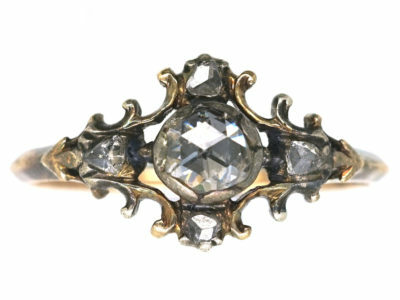 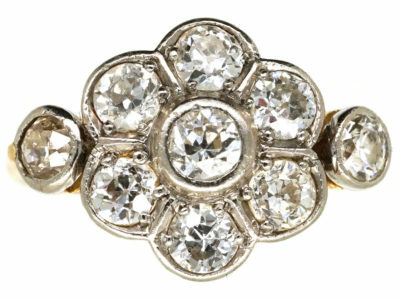 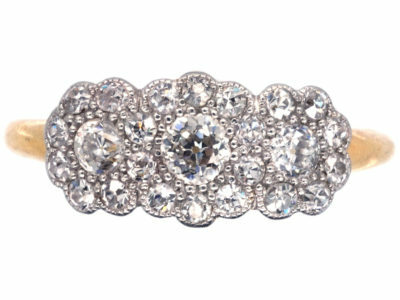 It is so pretty and comparatively rare and would be an ideal engagement or dress ring. 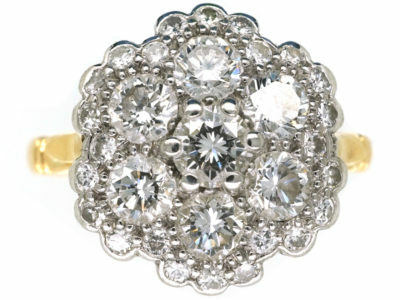 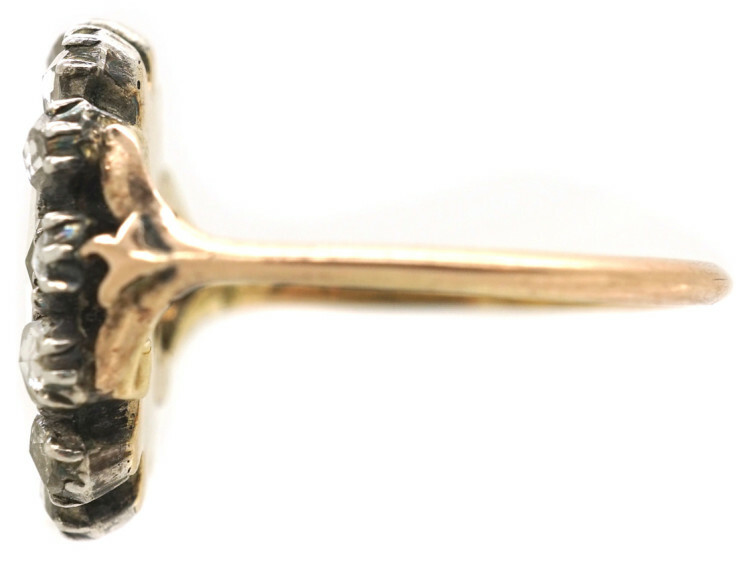 Wonderful and very striking ring!